Hello beauties! It's been a while since I've done an instagram roundup. I've been having so much fun posting easy, affordable outfits on instagram and insta-stories. One thing i learned from my analytics is that you love ruffles and dainty details as much as i do, so no worries because i have you covered on future ootd posts! I'm constantly asked about how to shop certain items that i post. The heart sunnies have been so popular with you guys and understandably! They're super fun and under $10! I link my instagram outfits on the LIKEtoKNOW.it app (if you don't have it you should)! 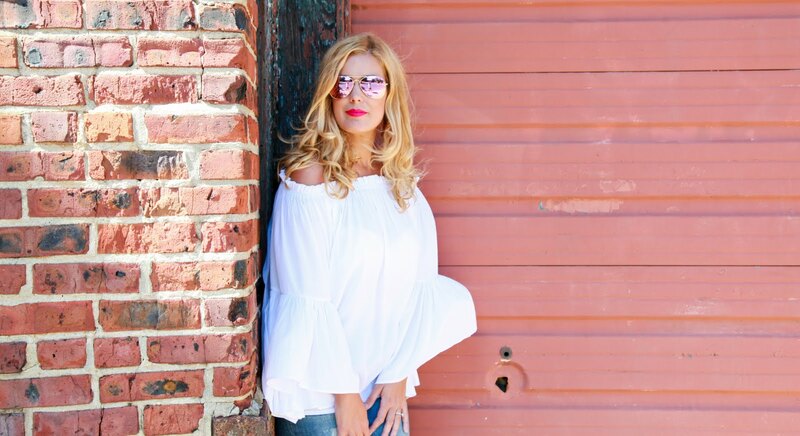 Basically you download the app, follow FashionMavenMommy and then whenever you see an outfit post on instagram that has the LIKEtoKNOW.it link, you simply screenshot the image and it automatically posts all outfit details on the app. Or if you follow me and open the app, it will show you all the images with linked posts. Another way to shop my instagram is right here on the blog. There is a widget on the right side of the main page that shows all of my latest instagram pictures. All you have to do is click on the image you want to learn more about and voila... all the shopping info is there! 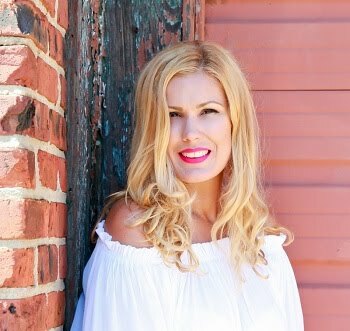 However, you've also shared that you enjoy instagram roundups because it makes it easier to shop my looks in one spot so today, I've gathered some of my most recent popular images to share with you here! 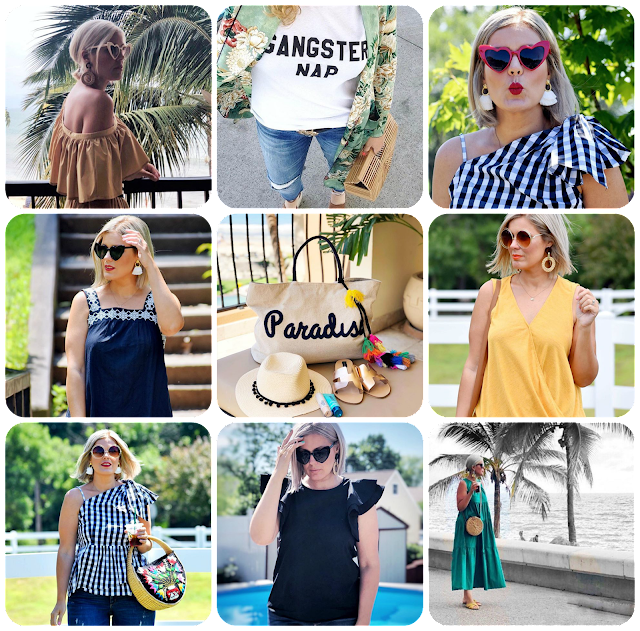 I'm going to link the outfits in the 'shop the post' widget below but here are some of the details of what i wore on my recent trip to Puerto Vallarta as well as what I've been loving lately! The Madeira round bag is so unique and truly a show stopper. Whenever i wear it, i get a ton of compliments! Also, my everyday bag situation is under $50 and I've been rocking it all summer. It's roomier than one would expect and crossbody which is perfect for keeping your hands free! Also, i have a highlights section on instagram featuring my Nordstrom Anniversary Sale haul. It was a GOOD one! I tried on a ton of stuff and chat about which pieces i bought and why like these awesome booties. While i know a lot of stuff has sold out, i can assure you that i have a selection of items that are still available and not to be missed!